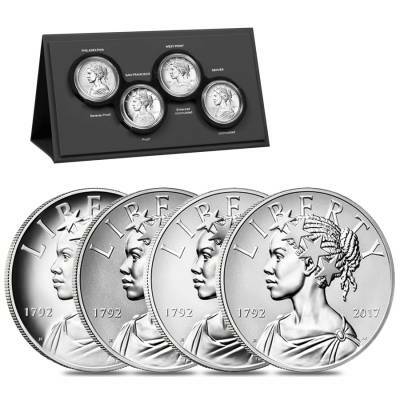 Celebrating 225 years of coinage excellence, the US Mint released this special 2017 American Liberty 225th Anniversary Silver 4 Four-Medal Set featuring a breathtaking rendition of a renowned American icon - Lady Liberty. 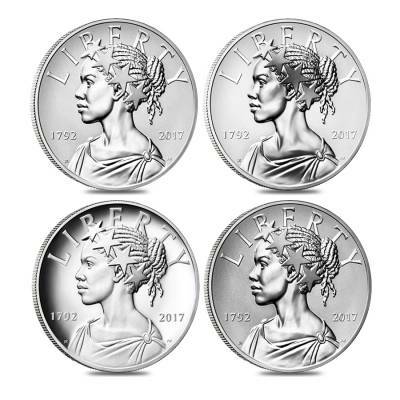 The obverse design of these stunning coins presents Lady Liberty as an African-American woman, wearing a five-pointed star crown in treasure to the bronze Statue of Freedom topping the arcade of U.S. Capitol, created by Justin Kunz. 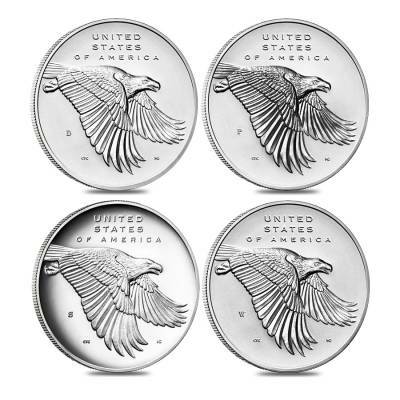 The reverse design shows an eagle in flight, created by Chris Costello. Each medal in this set is made from .999 fine silver and has a weight of 1 troy ounce. The set includes four medals that share the same design, however with different mint and finish: the proof medal carries the S mint mark of San Francisco; the reverse proof medal carries the P mint mark of Philadelphia; the uncirculated medal carries the D mint mark of Denver, and the enhanced uncirculated medal carries the W mint mark of West Point. Each medal is made from .999 fine silver with a weight of 1 oz. 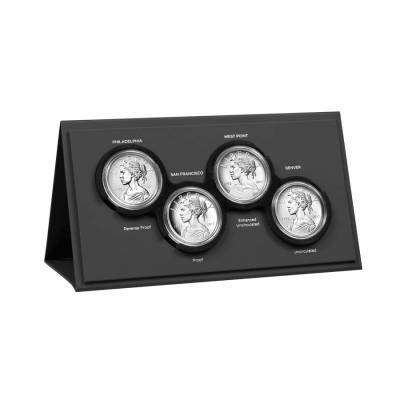 Struck by the prestigious United States Mint. Medals sold in an elegant black matte presentation box with its Certificate of Authenticity. This special release celebrates the 225th anniversary of the Mint. 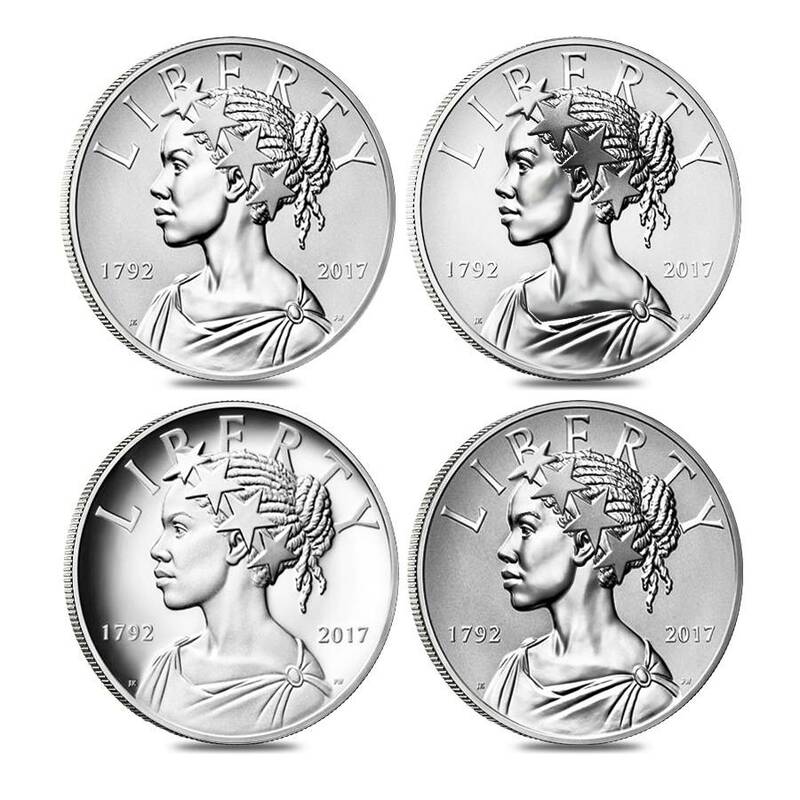 Obverse: Showcases a right profile image of Lady Liberty as an African-American woman, a departure from previous classic designs. She is portrayed as wearing a crown of stars, framed by the inscriptions "LIBERTY," "1792," "2017." 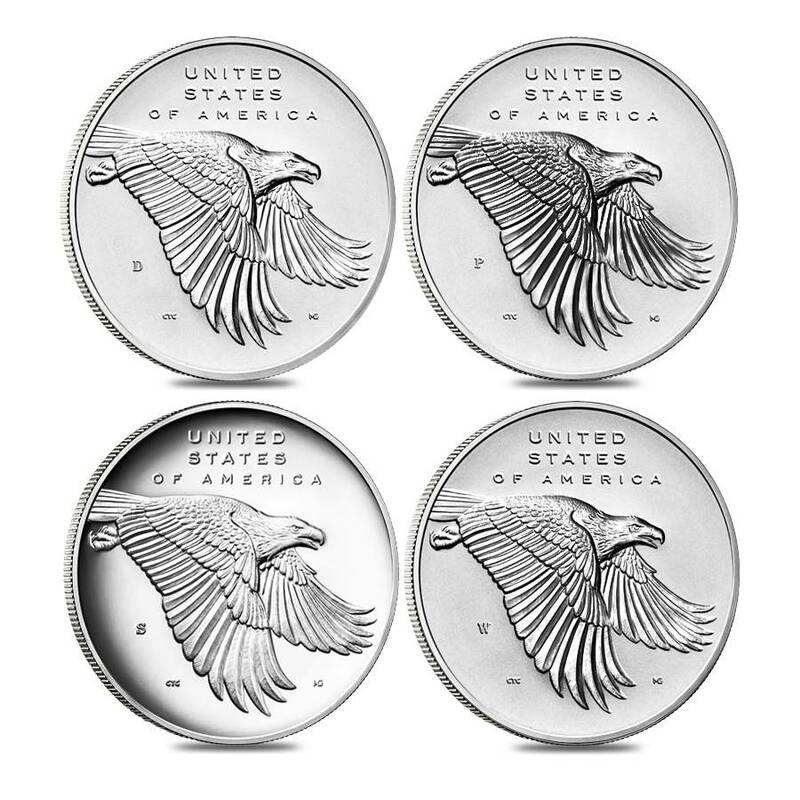 Reverse: Displays a true American symbol of strength - the bald and powerful eagle in flight. 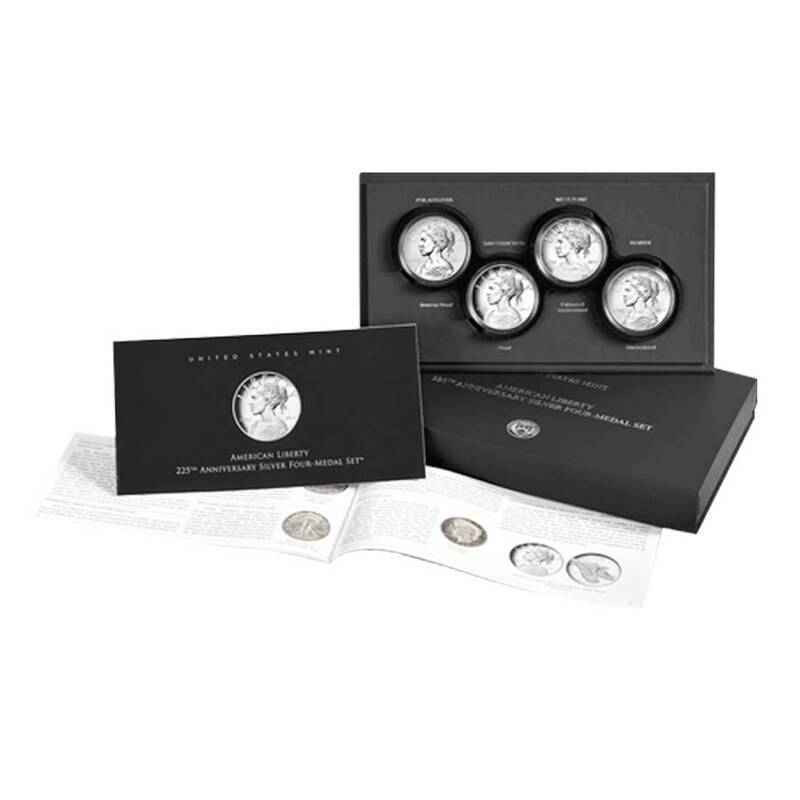 Inscriptions: "UNITED STATES OF AMERICA"
At Bullion Exchanges, you will find an exceptional selection of exclusive bullion pieces from the most prestigious international refineries. Add this astounding 2017 American Liberty 225th Anniversary Silver 4 Four-Medal Set to your collection today, and it will be delicately packaged and delivered to your address. If you have any questions, just call us at 800.852.6884, or send us a message, and our customer service representatives will happily assist you. Great service, smooth transaction. Overall experience is just perfect.